This article started out as a list of Rahul Dev Burman's 10 Best Songs. I suggested on increasing the figure to 20. By the time I got around to writing the story, my list had expanded to 25 and was dangerously inching towards 30. At this point, I had to physically stop myself from typing any further. Whether one belongs to the generation that saw the rise and euphoria of this baby-faced music director or the less fortunate experiencing the magic of his tunes only after he was gone, the conclusion drawn is one and the same -- RD is THE Boss. No wonder he continues to find such strong resonance and reference in the works of contemporary film makers. His enthusiastic, unorthodox approach to embrace all forms of music and give it his own signature kick without tampering the essence of a melody lend his creations a class of their own. On his 19th death anniversary, I share with you, dear readers, 30 of my favourite RD compositions I never get tired of listening. Rest assured, this is NOT a 'Best of' list, as there cannot be one with SO MANY terrific tracks to choose from. Meanwhile, do not hesitate from posting your faves on the message board below. The primary purpose of songs in our films is to entertain and add to the narrative. 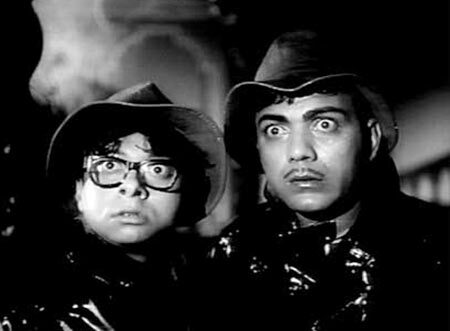 RD collaborates with Mehmood, on screen and off it, to serve this purpose to sidesplitting effects in a spooky ballet of creepy sound effects and the duo's madcap performance. The brief, meaningful pauses to break the seamless air of Lata Mangeshkar's silvery albeit restrained solo in Aaja piya tohe pyaar doon convey the modest but supportive personality of its on screen protagonist, Asha Parekh. That's RD's style and detailing for you. 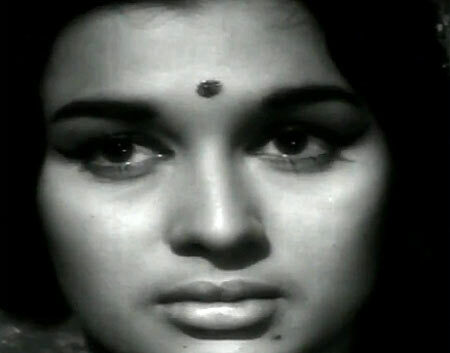 Teesri Manzil is that rare perfect film with a soundtrack just as perfect. And while every single song is worth in gold, the infectious allure of Aaja aaja's RD-orchestrated madness equally reflected in Mohammad Rafi and Asha Bhosle's gamely vocals makes this a timeless chartbuster. 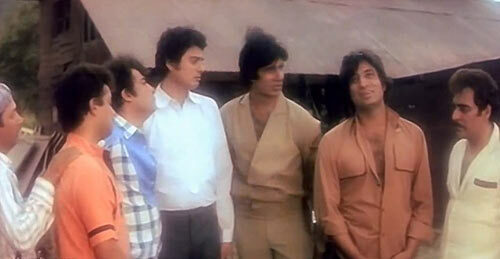 The sublime tunes of Amar Prem easily rank among RD's finest works. Though despair runs deep in almost every song, he creates a brand new ambiance for each. The classical quality of Lata Mangeshkar's pitch perfect rendition in Raina beeti jaaye is so moving; there's little one can do except keep coming back for more. The exquisite combination of Pancham and Gulzar has produced many a fine soundtracks. And Aandhi is decidedly most prominent among them. While Tera bina zindagi se koi conveys tenderness and regret rather poignantly, it's the radiance of Is mod se jaate hain that never fails to light my mood. Just a buoyant but effective percussion, a dramatic cameo from the flute, Kishore Kumar's wistful voice endorsing Gulzar's incredible insight and RD's remarkable soul is enough to transport its listener in an alternate universe of indescribable contentment and peace. RD employs the Flanger effect to create a sound so bizarre and quirky; it's only fair he should wield the microphone as well to do Dhanno complete justice. And that's precisely what he does. 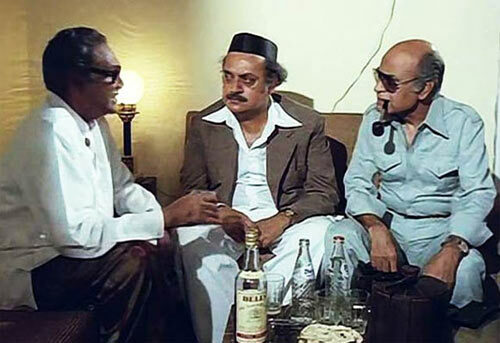 Gulzar and RD continue to brew magical potions that elicit bliss among its listeners with the delicate enchantment of Phir wohi raat hai in the shape of Kishore Kumar's velvety baritone. 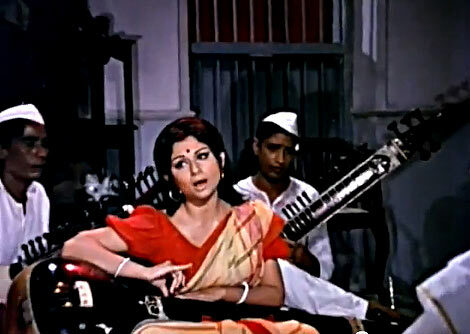 The feel-good vibe of Hrishikesh Mukherjee's Khubsoorat can also be found in the rapturous beats of Piya bawri. 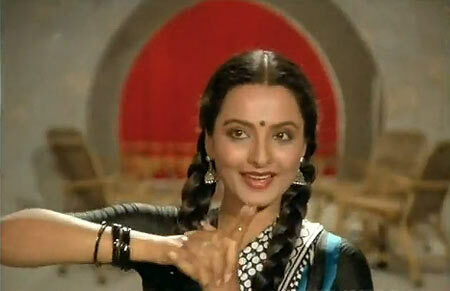 While Asha Bhosle is reliably fabulous, its Ashok Kumar's vehement 'bol' that adds to its overall awesomeness. Is there any way to finish this song without tears welling up in your eyes? I have yet to find out. The warmth in RD's tune and Aarti Mukherjee's deft delivery of this affectionate Gulzar lullaby is much too personal to be dismissed as merely music. The rhythmic pattern that opens Golmaal's title track? In my dictionary that peculiar sound defines infectious and I could hear it all day long. And so whether it's adorning the original comedy's opening credits or popping up to create a hilarious situation in Hera Pheri, I am all for it. The poetry of Gulzar dominates most of Ijaazat and its soundtrack. But RD is far from overshadowed and displays his mastery in marrying melancholy and melody for my most beloved song from the album, Khaali haath shaam aayi hai. There's much to admire in the texture of Asha Bhosle's voice and how it takes a life of its own, especially in RD's songs. One can never get enough of her melismatic singing in this scorching ditty picturised on Zeenat Aman in the star-studded fantasy, Ali Baba Chalees Chor. 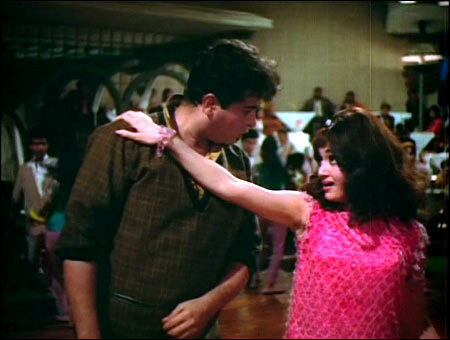 Panchamda opts for a light arrangement allowing Kishore Kumar's charismatic baritone to take centre stage and articulate Anand Bakshi's bittersweet sarcasm in this deliberately laid-back, definitely lilting song from Bemisal. Mithun Chakraborty and Zarina Wahab engage in a delightful discussion about their future with generous help from Gulzar's imagination and RD's breezy composing in this evergreen track from Sitara. RD and Kishore Kumar hit some high notes to celebrate the art of flirtation in this flamboyant and fabulous ditty from the Nasir Hussain musical. 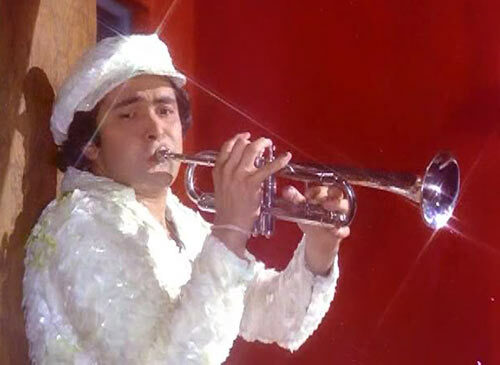 The extended trumpet in the beginning was swank enough be reproduced in a remix performed by Kishoreda's son Sumit. The playfulness of this super hit tune, featuring two of Bollywood's most loved couples -- Rishi Kapoor and Neetu Singh, is deceptively simple, almost like a nursery rhyme. And yet RD makes it so refreshing and foot-tapping with his ever-ready stock of whimsical hooks ranging from a familiar hush to an addictive tut tut. In the prime of their chemistry, Asha Bhosle's nimble incantations and RD's sensual arrangement of Dum maaro dum evokes a paradox of carefree control that is both dangerous and so, SO attractive. Gulzar's pensive reflections have unfailingly found their voice in RD's transcendent inventions. And that's why it's always nice to rediscover an old gem. So consumed was I by the magnetism of Lata Mangeshkar's Naam gum jayega that I almost forgot about this mellow beauty by Kishore Kumar, which is a constant on my playlist these days. Imagine RD channeling a wolf? It doesn't get any groovier than this. 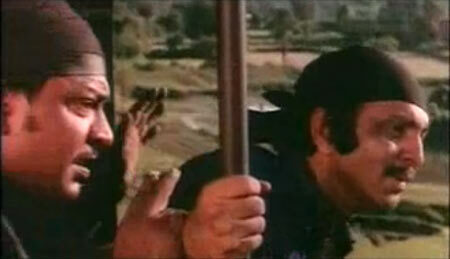 While it's not a movie necessarily known for its soundtrack, Sholay's one Mehbooba alone oozes enough glamour and excitement to get pulses racing. Although RD takes inspiration from his father Sachin Dev Burman's Bangla creation Nitol paye rinik jhinik, the sheer exuberance with which Kishore delivers, the upshot is instantly hooking. From hostel campus to group picnics, few songs can validate the pleasure of group singing like Pyaar humein kis mod pe from Satte Pe Satta. RD demonstrated his keen sense of humour at every given opportunity. This immensely loveable track, performed by an extensive line-up of playback singers in full-on mode has a blast proving just that. 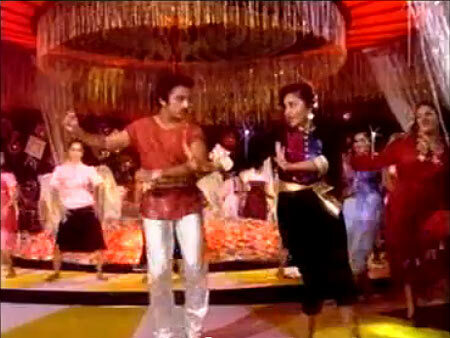 Yeh Vaada Raha is no blockbuster but a fairly engaging romance drama that I remember best for RD's superb soundtrack. Every single song here is fabulous. So I am going with the consistently pleasant title number, which continues to work despite a lesser but popular remix. RD should have an award long ago and for many more films. 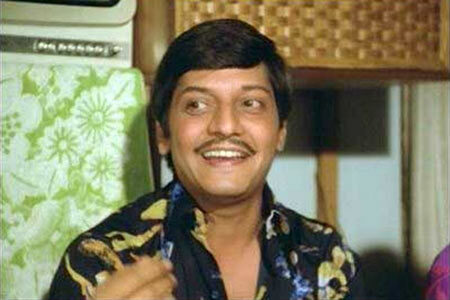 But he won his first Filmfare trophy for this typical rich-poor boy-girl romance, Sanam Teri Kasam starring Kamal Haasan and Reena Roy. And, with good reason, the entire (unapologetically populist) soundtrack especially the disco ditty Nisha-ah-ha-aha was a roaring hit. Any kid from the 1980s will tell you how and why Kero Mama was almost a slogan growing up. 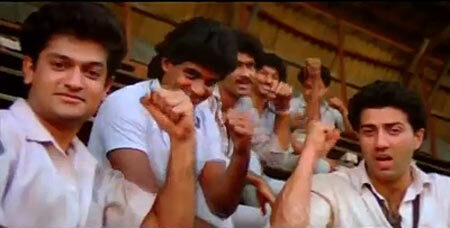 Clearly, it wasn't just a passing fad and the gusto and spirit of Arjun & gang continues to inspire and uplift. 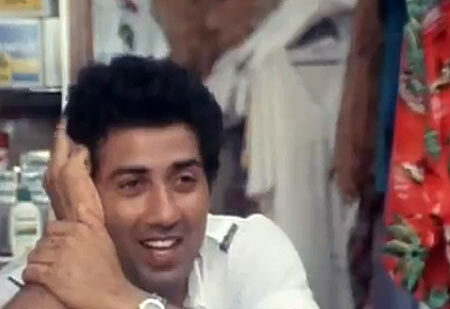 Right from Betaab, RD helmed quite a few memorable songs for Sunny Deol. And though Samundar, also directed by Rahul Rawail, didn't do well, the songs deserve a better fate. RD doles out some peppy beats to illustrate Sunny's fervent pursuit of an unwilling Poonam Dhillon in the instantly catchy, Yeh kori karari kunwari nazar. Sunny holds its own rather well. The songs of Love Story were a huge success but I am slightly partial to this rather underrated gem from the same troika -- RD, Kumar Gaurav and Amit Kumar from the film Teri Kasam. The sparkling zeal of RD's majestic tune is reciprocated in equal measures by AK's dedicated. Asha Bhosle and Suresh Wadkar communicate on behalf of a loving woman and her presently indisposed mate against RD's mellifluous production to provide Parinda its few unaggressive moments. RD left behind quite a tour de force with his work in 1942: A Love Story. 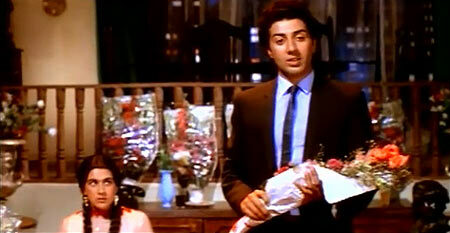 And while Ek ladki ko dekha and Kuch na kaho are the more popular picks, my favourite is Pyaar hua. He captures the rush of new romance with vivid drama (that masterful Gurunaguruna touch to underscore its period backdrop) and an ethereal Kavita Krishnamurthy to render this an instant classic.